The online Graduate Certificate in Financial Planning is a four-subject postgraduate qualification set at AQF level 8. It’s designed and developed in conjunction with leading financial advisers and industry experts to ensure what you learn is practical, relevant and immediately transferable to your professional practice. Complete four more subjects to attain the FPEC-accredited Graduate Diploma of Financial Planning*. Complete another four subjects to graduate with an FASEA-approved Master of Financial Planning. *Note: Once the FASEA curriculum is confirmed, Kaplan Professional will ensure the required elements are incorporated into our postgraduate qualifications to attain FASEA approval. Single subject study is also available. Click here for full subject availability. Prefer to attend face-to-face classes? A series of workshops will be offered throughout the study period for subjects FPC001 Economic, Legal and Ethical Context for Financial Planning, FPC002 Applied Financial Planning, FPC003 Superannuation and Retirement Advice and FPC004 Insurance Advice. Each full-day workshop will be offered from central Sydney, Melbourne and Brisbane CBD locations and will cover multiple topics. Individuals can register for intensive workshops at no additional charge, once successfully enrolled in subjects FPC001 Economic, Legal and Ethical Context for Financial Planning, FPC002 Applied Financial Planning, FPC003 Superannuation and Retirement Advice or FPC004 Insurance Advice. Each recorded lecture will focus on specific topics, giving you the flexibility to pick and choose which lectures to download. Join a Live Tutor Hour to seek clarification on any topics you may have concerns with or to have your questions answered around upcoming assignments. There is no need to register. Date and time for each Live Tutor Hour will be found in your subject room once successfully enrolled. Lectures and workshops are hosted by a leading industry practitioner and will complement online study materials by focusing on key concepts using practical examples. Not only will this provide you with practical application of theory and knowledge, you’ll also have the opportunity to interact with other individuals in your cohort to discuss current and topical affairs. * Face-to-face workshops and weekly recorded lectures are offered for subjects FPC001, FPC002, FPC003 and FPC004 only and are subject to change. Attendance is not compulsory. Kaplan Professional is a leading provider of education in Australia, providing learning solutions to over 45,000 professionals annually – this includes 1,500 corporate clients, incorporating all the major banks and leading financial services providers in the country. You can count on diligent and prompt support from a dedicated Student Advice team who are always a phone call or email away. The team is experienced, knowledgeable and specifically in place to support financial advisers who are studying at the postgraduate level. You’ll work together with the team to create a tailored pathway that will help you map out your studies and plan ahead to ensure you’re able to achieve your goals within your desired timeframe. Kaplan Professional has always prided itself on its ability to engage industry experts and leading financial advisers to curate and deliver our subject content. This ensures you’ll be provided with practical, relevant and performance-focused outcomes, directly applicable to your professional practice. These industry practitioners deliver online lectures, respond to questions in the discussion forum, and provide assessment feedback. 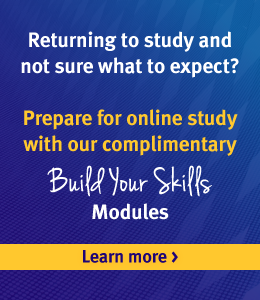 Kaplan Professional’s six study period model provides you the freedom to study all year round, but most importantly, every postgraduate financial planning subject is available in each study period. This ensures you’re able to plan ahead and choose study periods that accommodate your professional and personal commitments. With a new study period commencing approximately every two months, overlapping slightly from the previous, you can accelerate your study or ‘take a break’ depending on your circumstances. You have access to KapLearn – your innovative online learning hub – anytime and anywhere. This convenience and flexibility empowers you to plan your study time around the rest of your day, instead of the other way around. This is particularly beneficial for busy financial advisers who already have significant professional and personal commitments. Discussion forums, interactive notes, research journals, online journals, real-world case studies and diverse multimedia content are all easily accessible in one intuitive and user-friendly hub. You’ll have direct access to the industry practitioners and subject matter experts in an online discussion forum, where you can seek clarification on subject content and discuss any study issues you may have. By participating in online discussion forums in a supportive peer-to-peer environment, you have the unique ability to discover the viewpoints of like-minded individuals from different areas of the industry. This creates a richer, more immersive learning experience, while providing you further opportunities to extend your professional network. You’ll also have the option of being assigned a study group. This enables you to form new perspectives; understand and absorb information more efficiently; improve and develop new study skills; and benefit from a cooperative, rather than competitive, learning environment. Below are the minimum education requirements for entry into our postgraduate courses. Alternative entry pathways may be available to you if you do not meet the minimum education requirements. In addition, other entry requirements, such as English language proficiency, may apply to you depending on your academic background. The qualifications listed as minimum education requirements must be from a recognised Higher Education provider (including the National Office of Overseas Skills Recognition). *You will be required to provide Kaplan Professional with documents supporting that you meet the requirements for entry into the course. Please review the Provision of Entry Requirement Documents PDF for more information. Self-employed roles in trading or related areas. You may be able to enter any of our Graduate Diploma or Graduate Certificate postgraduate courses based on your industry expertise and/or if you hold an academic and/or professional qualification that is deemed appropriate. Download the Non-Degree Entry Form for more information. We encourage you to book a consultation over the phone to discuss the options and study pathways available to you in more detail. These consultations allow our experienced and knowledgeable team to understand your needs, identify the qualification most appropriate for you, and address your questions thoroughly. Alternatively, you can get in touch directly on 1300 320 760 or educationrequirements@kaplan.edu.au. Advanced standing may awarded in recognition of prior learning or industry experience which is directly related to the qualification you are enrolling into. Further information can be found on our Advanced Standing ‘Precedent List’. Click here for further information about how to apply for advanced standing. Download a PDF of the 2019 timetable. Each Kaplan Professional postgraduate qualification has minimum entry requirements. Please ensure you meet the eligibility requirements required to enrol. In order to complete your studies with Kaplan Professional, you are assumed to have the following skills and access relating to technology. Please click here to view our minimum technology requirements. You may be able to obtain advanced standing for a Kaplan Professional subject based on your previous study, professional membership status and work experience. Not all subjects are available in every study period so make sure you check your preferred subject is offered. Refer to the subject outline to understand hours of commitment and prerequisites. Make sure you check the assessment timetable to ensure you are available to sit the assessment pieces. You only pay fees for subject(s) in which you enrol each study period. Check the fee schedule for more information about fees. FEE-HELP is also available. Click here to find out if you’re eligible. You can enrol now and supply documentation to support your application for enrolment at a later date, within three weeks of your initial enrolment into the qualification. On enrolment, new postgraduate students will be required to post an original certified copy of their previous studies. If you are paying by cheque, utilising a deferral or have a preferred client code, you will need to download a copy of our paper-based enrolment form below. Talk to a Student Adviser on 1300 135 798. Click here to access student polices and forms. When you study at Kaplan Professional, you pay as you go. So you only need to pay for the subjects you intend to study each study period. Click here for a full list of fees and allowances. Throughout your studies, you’ll be able to count on the helping hand of our knowledgeable and experienced Student Advice team, who are always a phone call or email away. The Student Advice team will be in regular contact to keep you up to date with important information, as well as being able to assist with decisions about subject enrolments, completion pathways and general study advice. For a condition or special learning need existing at the time of your initial enrolment, refer to the appropriate Reasonable Adjustment application form. For a condition or special need that occurs during the course of your study, refer to the appropriate Special Consideration application form. Please make us aware of your circumstances at the time of your enrolment, or as soon as possible thereafter. Refer to the Assessment Policy for further information on both of these processes. E-books are advanced digital versions of traditional subject notes, and use some of the latest technology to give you greater interactivity and accessibility throughout your studies. E-books allow you to search for key words, highlight important content and write comments or calculations on the pages which you can print out and use for study purposes. You also have instant access to online learning resources such as online lectures, required readings and discussion forums. 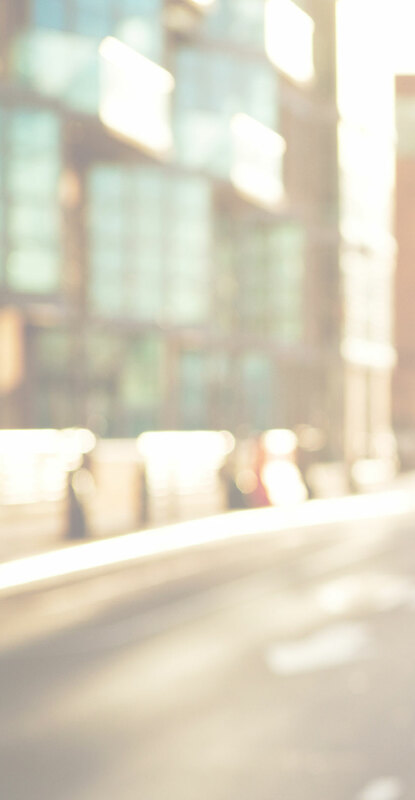 Delivered by industry experts from Australia’s leading financial institutions they can be viewed online or downloaded as an MP3 allowing you to listen anytime, anywhere. Each subject has an interactive discussion forum which gives you the opportunity to stimulate conversation, debate issues and share knowledge with other students. Each forum is facilitated by an industry practitioner who is a subject matter specialist who will guide you with your learning. The Kaplan Library and Resource Centre provides a range of information and learning support resources, and research services to assist you in your studies. This includes access to online databases which contain full-text journal, magazine and newspaper articles, Australian company information and e-books. Our library catalogue contains descriptive information about our book and e-book collections. The Library and Resource Centre also contains learning support materials to assist you with referencing including e-tutorials and quizzes; guides to using the databases; library policies; contact details for our preferred bookshops; and other useful resources. Subjects require approximately 120 hours of student effort (11-12 hours per week). This includes time spent on activities, such as reading and review of subject materials, participating in e-learning activities, and assessment preparation and review.